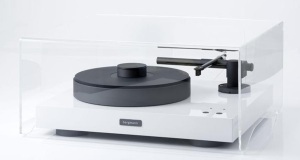 Bergmann Magne Air Bearing Turntable with Linear Tracking Air Bearing Tonearm. 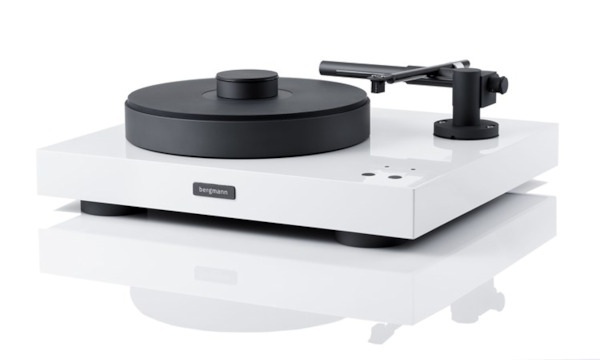 The 12.1 lbs Platter and your record floats on a bed of air, and so does the tonearm which tracks tangentially, and therefore unlike all conventional tonearm, the Bergmann Magne tonearm has ZERO Tracking Error. 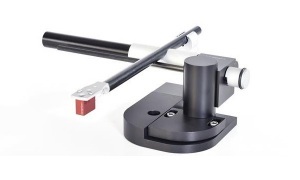 If you have never heard a High End Linear Tracking Tonearm, you would be amazed by the stereo separation and large soundstage along with clearer detail and delineation of all musical instruments from deep bass all the way up to ultra-sonics. This Bergmann Magne TT system is easy to setup and support from Pat’s Audio Art is always there. 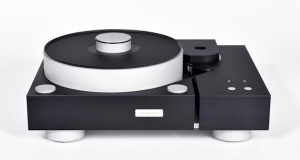 The outboard air pump is elegantly housed in an aluminum chassis and is included as Bergmann Magne Turntable System.